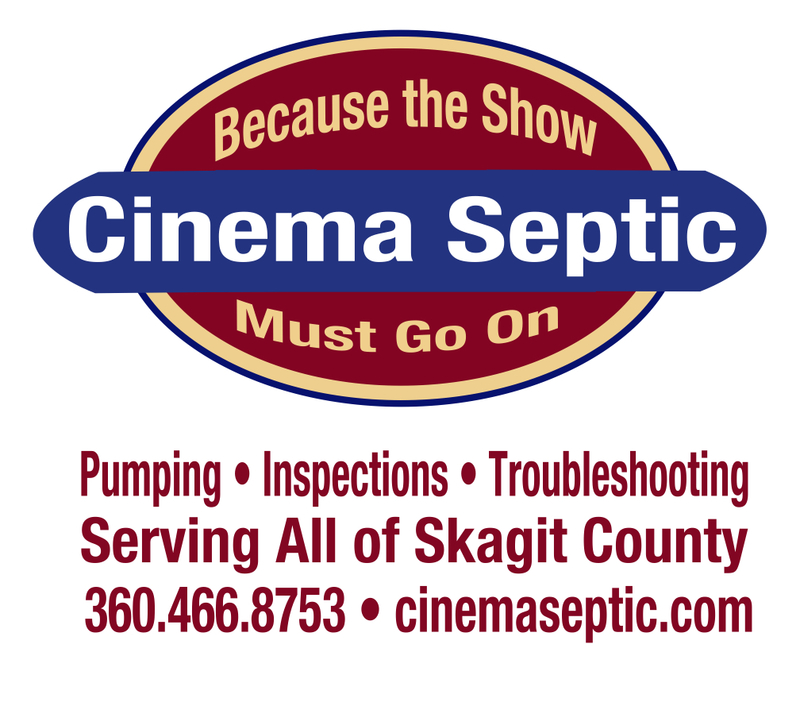 Cinema Septic provides septic inspections and pumping, quickly and affordably, anywhere in Skagit County. Owned and operated by Fred West, who’s also the co-owner with his wife Valerie Stafford of the Concrete Theatre (hence the dramatic name!). 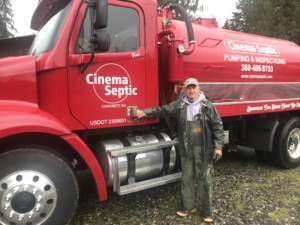 In 2018, the “Big Red Truck” was added to Cinema Septic’s fleet. Q. My septic system seems to be working fine. Why would I need it inspected? A. Because your sink might be draining and your toilet might be flushing, but your system could be still be on the verge of failure. If that happens, it could cost you thousands of dollars. Q. I’m getting ready to sell my house. What do I need to do? A. To sell a house in Skagit County, it has to have a current septic inspection. Cinema Septic is certified to provide that. Q. In your experience, what’s the biggest issue with local septic systems? A. Lack of regular maintenance. Q. What’s up with that big red truck? A. It’s our newest addition! And if you see it in your rearview mirror you may think it’s an emergency vehicle. But if you’re the person with a backed-up septic system, this is better than a fire truck!